It all started in Reno in the fall of 1982. Paul and I met at a convention for Honda. 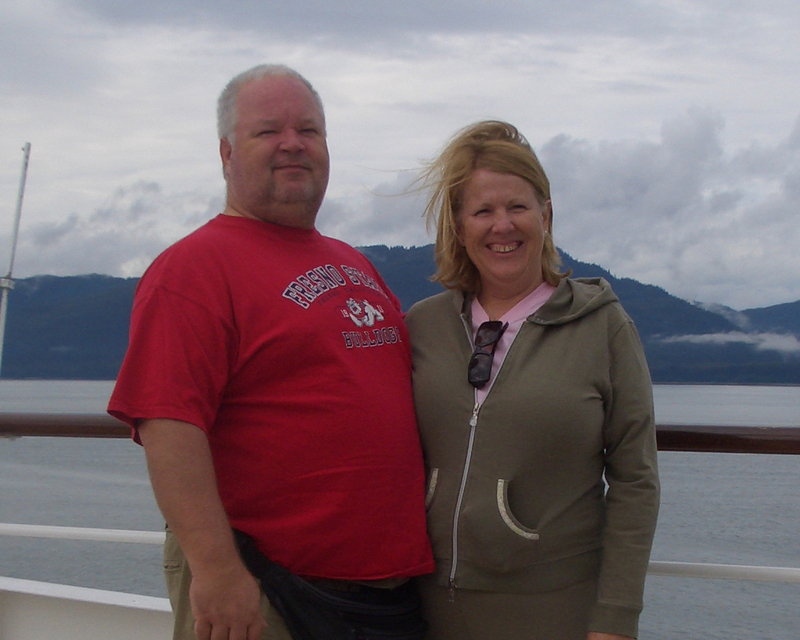 Denise had spent the month before in the hospital with a serious heart condition and Paul was smitten!!! Paul had been quite the traveler prior to our meeting going from New York to Florida and then to California. Denise hadn’t really traveled all that much outside of California but had spent a lot of time camping with her family in a tent. Our first cross country trip was from California to Florida in 5 days to deliver some peoples Oldsmobile 98. The next trip was when Paul made his last trek to California with the rest of his possesions. Denise flew to NY, met the family and then we drove back to California. This trip was more like camping; we had a small toyota with a bed in the back. That trip took 4 days. Since then Denise made another trip across country with the girls; Paul only made it to Colorado and had to go back to work. Since that first trip in the Oldsmobile we have done a lot of camping in California; first in a cab over camper; then 3 different fifth wheel trailers and a Class C motorhome. Paul has always said he was going to retire and travel around the country like a gypsy. Denise was not so convinced until the empty nest became a reality. The house is too big and quiet! Camping in this new RV will not be like any of the other camping we have done because it has all the luxuries of home. Paul plans on getting some type of internet device so we will always be connected. So we really are not going on a camping trip we are just changing where we go each day to work, play, and relax. It just so happens to be a place that does not require a gardener or pool service. Our plan is to get ready to hit the road when Amy graduates from College which she tells us will be in June of 2009. We will spend the next 20 months or so getting the house ready to sell and parting with all of our belongings. Whether the house sells or not by June of 2009 we will be hitting the road sometime that summer. We left January of 2009 and never looked back. We sold our home in September of 2010 and now have the freedom to wander this country. We return “home to CA” often to visit the girls and all our friends but when everyone else is back to work we are back on the road!